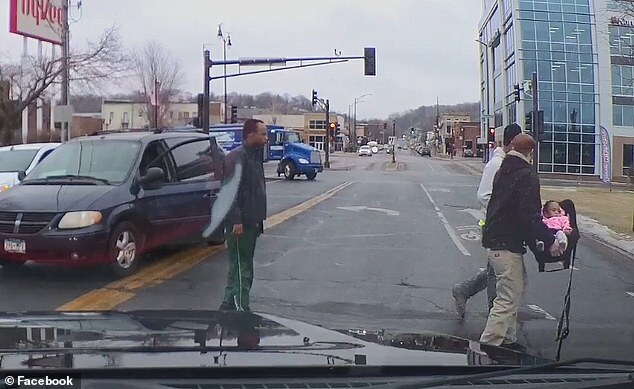 A driver from Mankato, Minnesota saved a toddler’s life by being alert on the road. 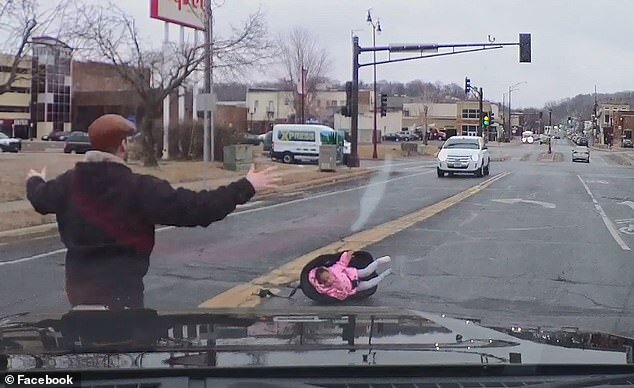 Chad Cheddar Mock caught the whole thing on video with his dashboard camera and rushed to the baby’s rescue to ensure that she would be safe. Mock, who drives for Caledonia Haulers, said that he always has his dashboard camera on when he’s on the road for liability reasons. 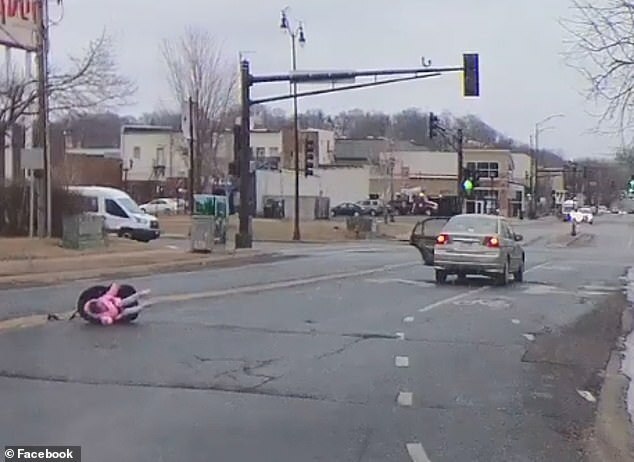 While driving in Mankato just before noontime, he saw the vehicle to his front suddenly popping its back and a car seat with the baby, still attached to her chair, fell out. 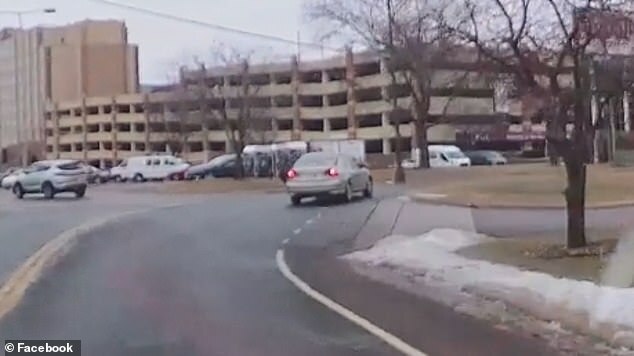 The driver honked hard and waved his arms to alert the vehicle in front of him. When it kept rolling away, he realized he had to be the one to stop driving to pick up the child left on the road. He needed to protect the baby, who was about 2 years old, from the other drivers that might not see her. Mock could not believe that an actual baby fell from the car while still strapped to her seat. He realized that it was actually the car seat that protected the baby’s body because it became her cushion as she fell on the pavement. The driver relayed that the baby was not crying when he rushed to pick her up. However, she was very aware of what just happened and started getting frigidity when more strangers arrived to help. The baby was transferred to another vehicle, which was driven to the nearby Hy Vee parking lot. There, the police and emergency services arrived to assess the child and the situation. The driver of the other car, however, did come back to the scene. 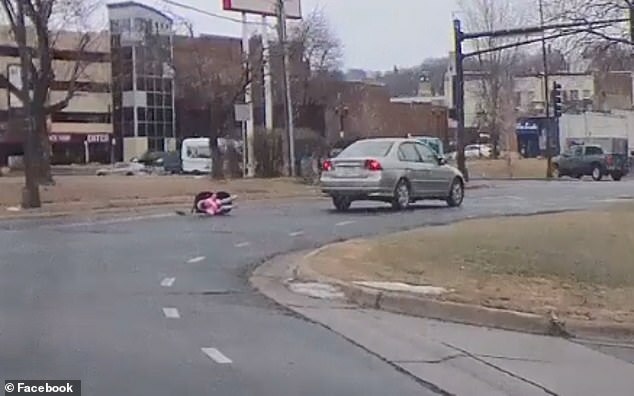 Police said that the mom had passed through the intersection when she realized that her baby was gone. She pulled over and walked back to the location of the accident. The baby and her mom were then released after the authorities assessed that the toddler was not harmed or injured. 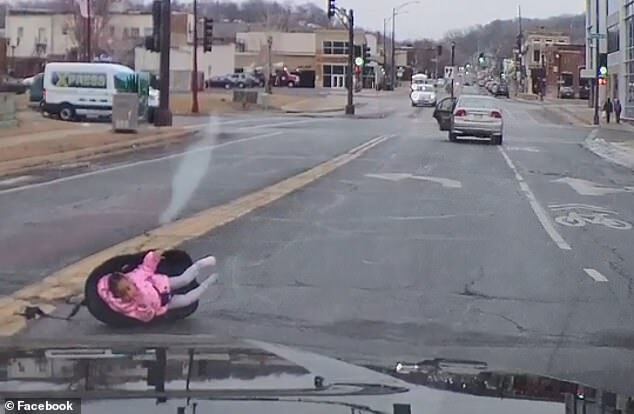 According to the Mankato Public Safety authority, the child was safely strapped in her car seat. However, the seat was not tethered properly on to the vehicle so it came loose when the door accidentally opened. The police also determined that the mother was driving alone. She did not have any other person with her who could have caused undue harm on the child. 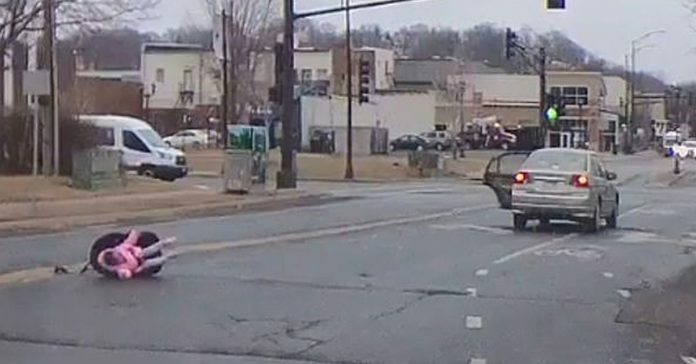 Public officials, however, are considering filing charges against the mother for child endangerment and failing to ensure that the child restraint system on the car was properly fastened. The case has been endorsed to the Human Services for review. Child endangerment cases in the U.S. may result in jail time for two to twenty years. However, most states can make exceptions in favor of reasonable discipline. Depending on the evidence, a defendant charged with child endangerment may who has no prior police record may be under probation for a year or more. They might also have their rights as a parent restricted.